In a ruling dated March 28, state District Judge Brad Urrutia of Travis County wrote that “having considered the evidence presented, the argument of counsel, and the applicable law, Defendant's Motion is DENIED.” The ruling was first reported Tuesday by the Austin American-Statesman. In January, a Travis County grand jury indicted Dukes on 13 counts of tampering with a governmental record, a felony punishable by up to two years in jail and a fine of up to $10,000. These charges are based on allegations that Dukes made false entries on travel vouchers to obtain money for expenses she was not entitled to, Moore said in a January news release. 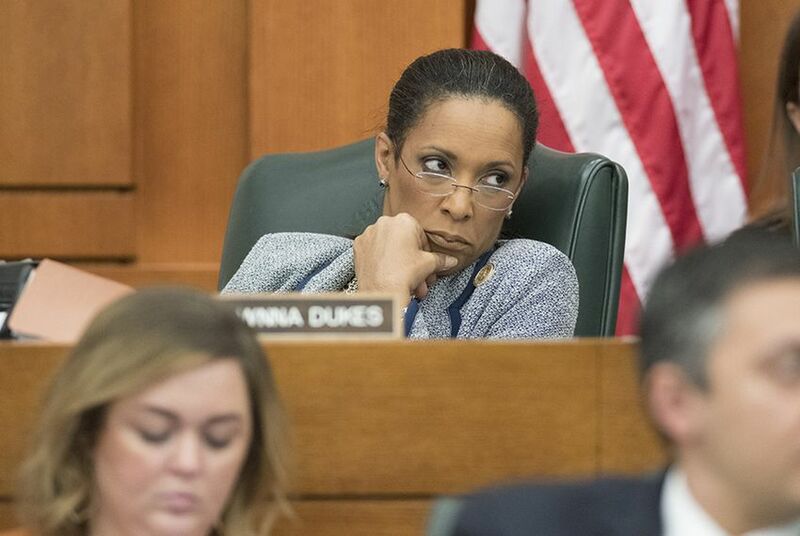 Two separate indictments were also handed down for abuse of official capacity by a public servant, a misdemeanor punishable by up to a year in jail and a fine of up to $4,000, which "relate to allegations that Rep. Dukes misused public funds for her personal gain and that she converted campaign funds to personal use," Travis County District Attorney Margaret Moore previously said. Dukes, an 11-term representative, previously said in a Facebook post that she will plead not guilty to all charges. Dukes did not immediately respond to The Texas Tribune’s request for comment. Citing the statute of limitations, the Dukes sought to have four of 13 felony counts against her dismissed.